neighbors 57/365, originally uploaded by laurasjoquist. Enjoying the weather with the neighbor girls. bagels and more 56/365, originally uploaded by laurasjoquist. 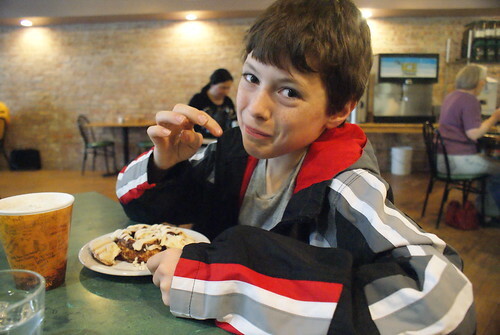 Jack wanted a cinnamon roll. So after a wet and birdless walk at the Nygren Wetland Preserve, we went to Bagels and More. The bagels are good, the more is pretty awesome too. picking a hike 55/365, originally uploaded by laurasjoquist. 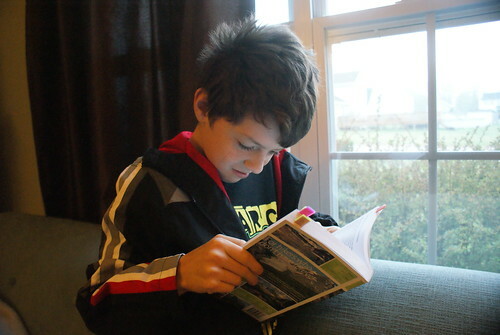 Waiting to go to the bus stop and looking at our Canadian Rockies hiking guide. Can’t hardly wait. Nygren Wetland Preserve is in my top 5 favorite things about the area I live in right now. (The others are The Anderson Japanese Garden, Rock Cut State Park, the Beloit Farmers market, and recently the fact that I found a yoga class I can bike to.) This morning was damp, foggy, overcast, and wet all good reasons to visit a swampy area where you’re probably going to get wet anyway. The bad news is that the new hiking shoes I purchased (my old ones had 3 glorious years on them and were giving my blisters) are in no way, shape, or form waterproof. grilling for homework 54/365, originally uploaded by laurasjoquist. 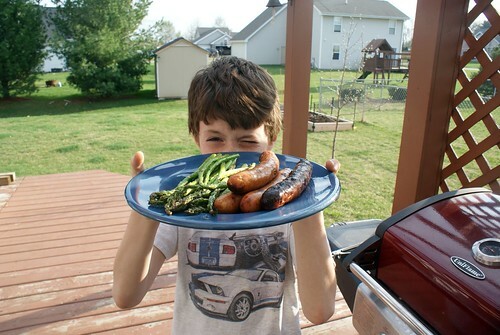 Showing off his master grilling skills with apple and Gouda chicken sausages and fresh asparagus. Nygren Wetlands 52/365, originally uploaded by laurasjoquist. Taking a walk at the Nygren Wetland Preserve in Rockton, IL. We saw Northern Pintail ducks and a Red Bellied Wood Pecker. spring tournament part 2 51/365, originally uploaded by laurasjoquist. Getting some half time advise from the coach during the second (and last) game of the March Mania tournament. hockey tournament part 1 50/365, originally uploaded by laurasjoquist. Fueling up for game one of the March Mania tournament. Not the best choice, I know, but at least he opted for the can and not the bottle. 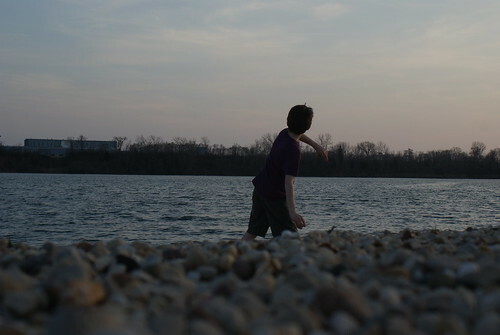 throwing rocks 49/365, originally uploaded by laurasjoquist. 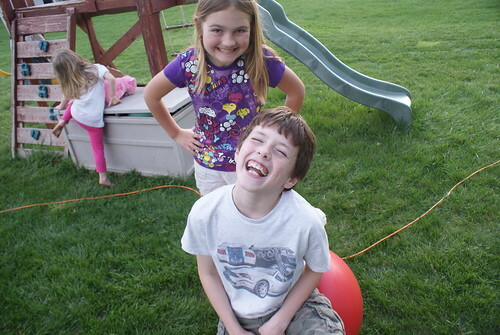 We took a walk at the South Beloit park to see some birds and throw some rocks, but not to throw rocks at birds, because that scares them away. And it’s mean. We added the American Coot and the Killdeer to our big year list.